Creating fair employment opportunities for the graduates into various prestigious departments of ‘Government of India’ via a competitive recruitment test which is an annual affair for the ‘Staff Selection Commission’, the Tier I of the CGL exam by SSC is scheduled to be held from August 1, 2017 till August 20,2017 through a ‘Computer Based Mode’ this year. Eagerly awaiting the official notification by the Commission, the wait for aspirants of SSC CGLE 2017 is over. Making the e-admit cards for the SSC CGL Tier 1 exam available for download via their online web portal of ssc.nic.in, the same shall be made available after July 20,2017 this month. The recent updation made on the website, now e-admit cards of all the recruitment tests conducted by SSC including the CGLE 2017 are made available ‘region-wise’ for the ease of access by the candidates. The notification regarding granting the access to all the SSC CGL 2017 exam aspirants this year shall be out anytime soon on the website. Select the region you belong to, eg: Northern, Western etc. 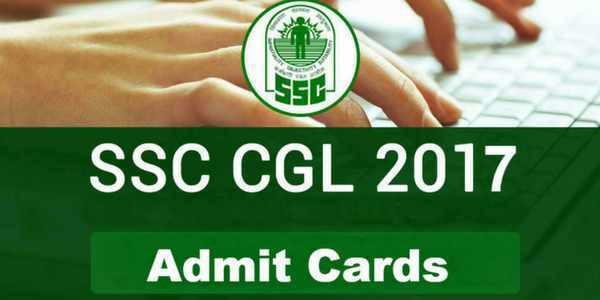 The admit card comes with a list of important instructions pertaining to SSC CGL 2017 Tier I Exam 2017 which shall be taken care of apart from carrying the admit card to the examination hall before appearing for the Tier 1 level SSC CGL Exam 2017 this August. All the best to those who have applied for the SSC CGL exam 2017!